Do you happen to see that light at the end of the tunnel? That’s retirement! It’s out there! Waiting for you! The MilitaryByOwner social media team recently asked its loyal followers what they're anticipating as they look ahead to retirement. The responses varied with ideas such as starting their own business, going back to school, or simply settling down and enjoying a laidback lifestyle. But how do you decide where to begin life after the military? Consider these three points when on the hunt for a retirement destination. Our family had the pleasure of spending two memorable years in the Lone Star state, and during that time we attended several retirement ceremonies. Even though our good friends said farewell to the Air Force, they actually did not leave our Texas neighborhood. One reason they lingered in Texas was due to it being a state that that does not collect tax on military retirement pay. (Along with Texas, the other states that don't tax social security and private pension income are Alaska, Florida, Mississippi, New Hampshire, Nevada, South Dakota, Tennessee, Texas, Washington, and Wyoming). It's important to know how much you will pay in state and local taxes before you settle into your retirement nest. Some states may have no state income tax, but then make up for it with hefty sales and property tax. Additionally, some locations may impose city, county, or jurisdiction taxes for resources such as fire protection or libraries. Take a gander at rates online, perhaps with an interactive map, to find out the scoop on income, personal, and sales tax. When you’ve narrowed down a retirement location, contact the local assessor for specific information, including any tax incentives offered to retirees. With my spouse being military, we are thankful that if we need to see a doc, we can call up Tricare and easily schedule an appointment. No matter what may occur with changes in healthcare policies, when we retire we look forward to continuing this coverage with Tricare For Life. The following information from Military.com defines the two major Tricare programs for retirees. TRICARE For Life (TFL) is a Medicare wraparound coverage for TRICARE beneficiaries who have Medicare Part A and Medicare Part B, regardless of age or place of residence. With TFL, you have the freedom to seek care from any Medicare-participating or nonparticipating provider, or at a military hospital or clinic on a space-available basis. Enrollment is not required, but you must pay Medicare Part B premiums. TFL is available worldwide, in the U.S. and its territories TFL pays after Medicare, in all other OCONUS areas TFL is the first payer. Although our family has yet to narrow down where we would like to retire someday, finding good health care nearby is a definite priority. Additionally, tending to aging family members over the years has shed a light on the importance of quality senior care. Whether it's assisted living, skilled care, or a nursing home, finding top-notch resources may help put our minds at ease as the years pass. Ideally, these facilities would be located in the same radius as a trusted physician and within the community that we’ve grown to love. According to fellow MBO writer Karina Gafford's The 3 Most Common Final PCS Moves, we military folk “go where we know” when we consider retirement destinations. As noted with our Texas experience, some newly retired choose to reside near their final assignment. Beyond civilian job opportunities, many enjoy the sense of belonging found near a military community. As listings on MilitaryByOwner.com prove, there is an abundance of housing available near military installations. Using the handy website search tools, browse listings by state and installation. If you're looking for specific details with a property, such as an acreage with room for horses or an abode with access to water, you may set those parameters with the drop-down filters under “Advanced Search.” If a narrowed search does not yield fruit, broaden the search to include less specific details. If widening the search still does not bring the results you're looking for, check back again later--new ads are listed daily. 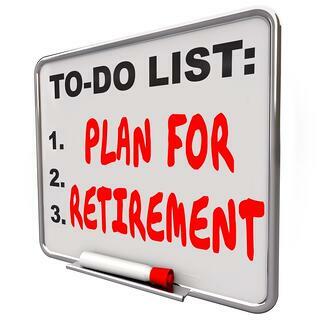 Finding a retirement destination that meets your needs may be a work in progress. Consider taking a few trips to favorite places you’ve been. Live like a local while visiting. Walk around town. Chat with people. Note what there is to see and do. Look for the array of amenities you’d prefer. Exploring the area may help narrow down where you’d like to spend your valuable retirement days.